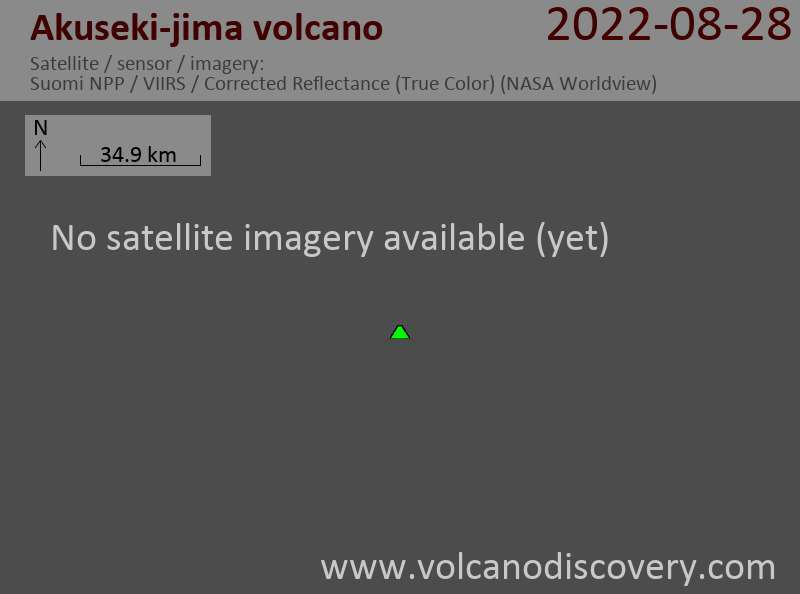 Akuseki-jima volcano is a small stratovolcano in the southern Ryukyu Islands, Japan. It forms the island of the same name, which measures 2.5 x 3.2 km in diameter and is surrounded by steep cliffs with beaches present only on the SW and SE sides. Although no direct date exists, it is plausible that Akuseki-jimais is still active. Only about 80 people live on the small island. Access to Akuseki-jima island is limited to one ferry running twice a week traveling 11 hours from Kagoshima. The island has no sources and depends on rainwater as water source. It was one of the best observation spots (one of the closest inhabited areas to the location of maximum eclipse duration) for the Solar eclipse of 22 July 2009.